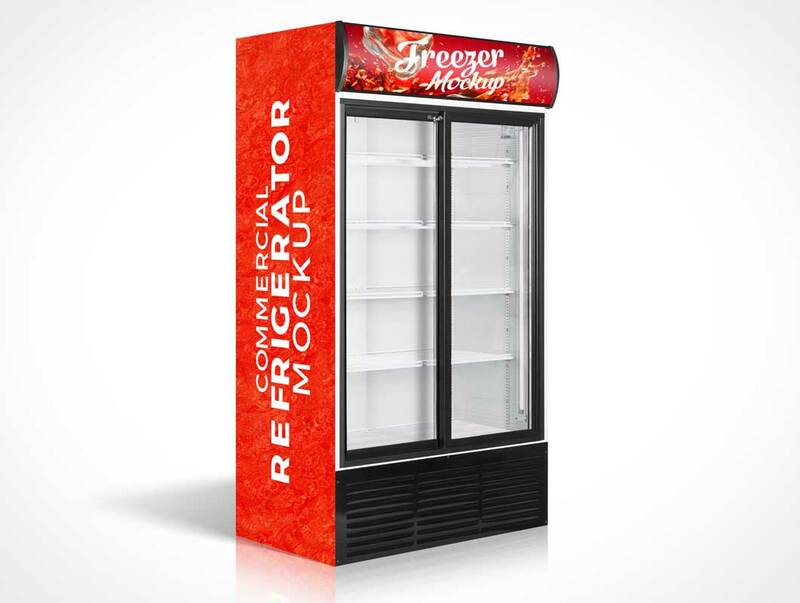 Anyway, coming towards my today’s post which is highlighting a free commercial refrigerator, cooler / freezer mockup PSD with product insertion. You can paste drinks, fizzy beverages, mineral water bottles, juice bottles and milk bottles etc. into this freezer mockup to present before your client as a visual depiction that how his beverages will appear to be.